Under Armour Windup is a Semi-Rimless, Semi-Rimless, Semi-Rimless frame for Boys, Girls, Boys, Girls, Boys and Girls, which is made of Injected Polyamid. Polyamide is in the nylon material family. It is a blend that is manufactured through an injection casting process. It is lightweight and durable. Because there are no plasticizers to "bleed" up, polyamide is also known as a hypoallergenic material. The material's composition keeps the colors from becoming dull, so they look sharp for several years. This model features the following temple detail: Under Armour logo and megol rubber on temples. 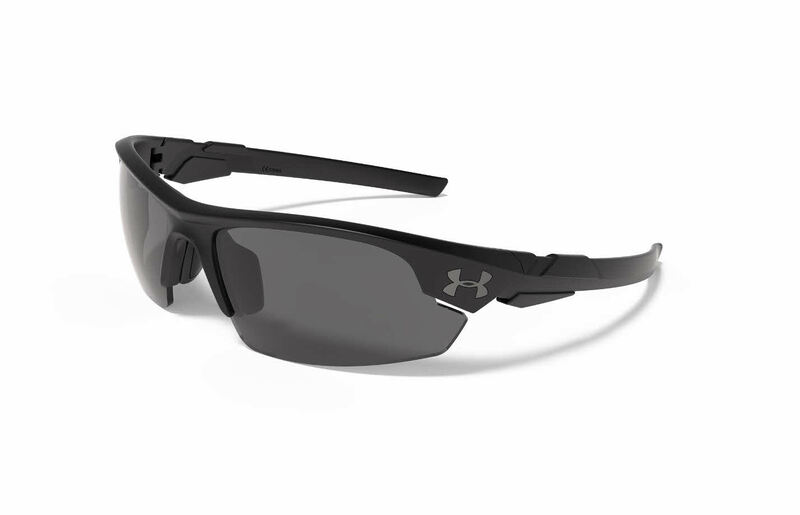 Under Armour Windup Sunglasses come with a cleaning cloth and protective carrying case.